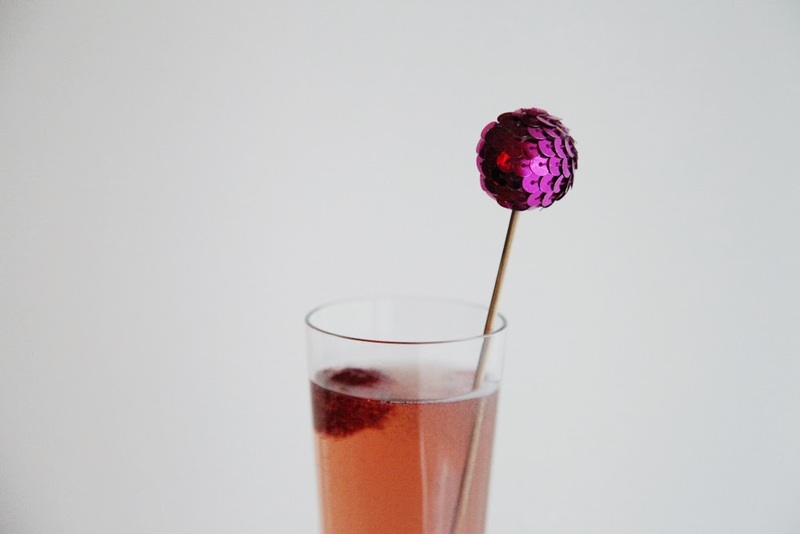 It’s just a few days past New Year’s Eve, which means you might have plenty of memories of your last glass of champagne: a perfectly effervescent beverage to kick off a new year! 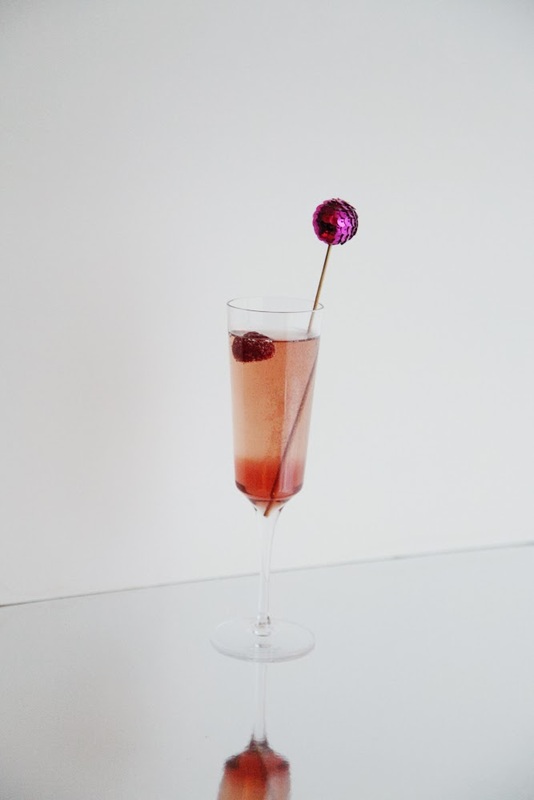 While most people think of bubbly for a congratulatory toast or a brunch mimosa, we love it so much that we’re constantly thinking of ways to give the drink new life for other occasions throughout the year. 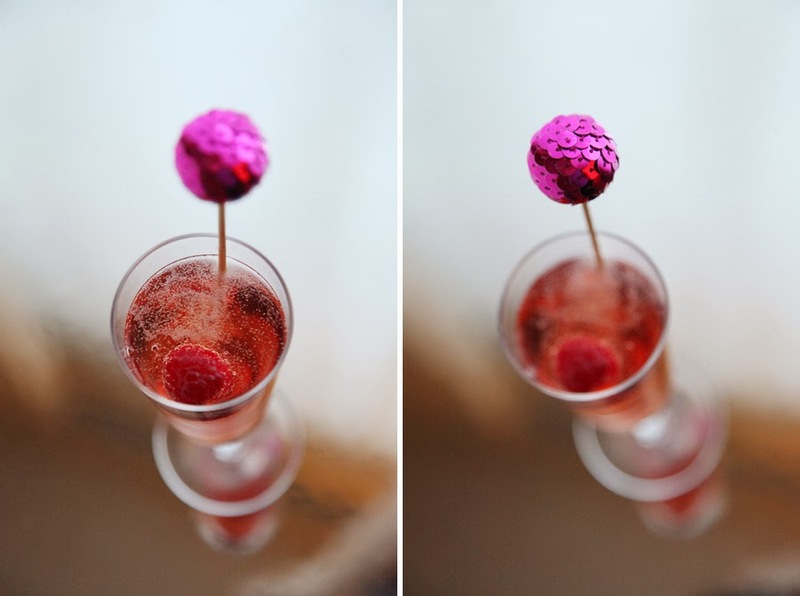 Add half an ounce (1 tablespoon) of Chambord to the bottom of your champagne glass. Tilt the glass fill it with sparkling wine/champagne. This drink looks great with a sugared rim. Before pouring the drink, place some granulated sugar into a shallow dish. Do the same in a second dish with a few tablespoons of champagne or water. Wet the rim by dipping it in the champagne first. Then dip into the sugar, coating well. Bonus points for adding a shake of colored sugar (like the kind you use to decorate cookies and cakes)! We opted to forgo the sugared rim since we wanted to use these super cute swizzle sticks we’ve just added to our shop! Oh my god I desperately need those swizzle sticks hahah they're perfect!! Hah! It's so cute!! And I love raspberry and berry flavored foods! !